The Urban Politico: Black Unemployment: Who's to Blame? Before we delve into the reasons as to why Black unemployment is double that of White unemployment, it's worth noting that Black unemployment has ALWAYS been at least double that of White unemployment in America. This is nothing new. In the 1980's under President Reagan, White unemployment oscillated between 5% to 10%; during that same time period Black unemployment oscillated between 10% to 20%. Now let's turn to why that is. We know that the disparity between Black unemployment and White unemployment is double, but guess what other critical disparity between Black and Whites is also double? Education. According to the 2010 Census, only 17.6% of all Black adults over the age of 25 have completed a four-year college education. That same figure for Whites is 33%. The fact that the percentage of Whites with college degrees is twice as high as the percentage of Blacks with college degrees goes a long way in explaining why the unemployment rate of Blacks is also twice as high as the unemployment rate for Whites. According to the September 2011 Bureau of Labor Statistics report, even though nation-wide unemployment is currently at 9.1%, the unemployment rate for college degree holders is only 4.3%!!! Stated differently, nearly 96% of college graduates still have jobs - which is amazing for any demographic in this economy. Also according to the report, folks with "some college" have an unemployment rate of 8.2%, high school graduates have an unemployment rate of 9.6% and high school dropouts have an unemployment rate of 14.6%. I mean, if somebody told you, "hey man, if you go stand with that group of cats over there, you'll have a 96% chance of having a job" you might run a few folks over on your way to go stand with that group right? Well unfortunately, that is not happening for the Black community, which is crucial when you consider that the number of manufacturing or factory jobs in America -- the type of jobs attainable without much education -- are disappearing rapidly. Only 54 percent of African American high school dropouts over the age of twenty-five are in the labor force, which is defined as people who are either working or looking for work. The other 46 percent don't have jobs and have stopped looking for them...[b]y contrast, among African American high school graduates, 74 percent are in the labor force. For those with some college, its 79 percent, and for those with bachelor's degrees or higher it's 88 percent. Paige and Witty. 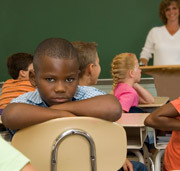 The Black-White Achievement Gap. Amacom, 2010. pp. 53-54. When you do the math, if just 10% of the Black high school dropouts actually graduated from high school, that would create an additional 350,000 employed Black people. Likewise, if just 10% more high school grads had some college, that would mean we'd have an additional 90,000 employed Black people. If just 10% more Black folks went from having some college to actually graduating with a college degree, that would create an additional 172,000 Black folks with jobs, for a total of 612,000 more Black people who would be employed in the U.S. If we had just a 10% increase in each of these educational categories -- which is not asking for too much -- the Black unemployment rate would literally drop from 16% to 14%. And that's just if 10% of Black folks had more education than they do right now; imagine what it might look like if half of the Black community did the same. We've done several pieces on the Prison Industrial Complex that you should check out if you haven't already. The long and short of it is that in America there are two justice systems: (i) one for White people and (ii) one for everybody else. Granted, this is an oversimplification of the situation, however, the fact remains that Blacks are convicted of the same crimes at higher rates than their White counterparts. The impact of the drug war has been astounding. In less than thirty years, the U.S. penal population exploded from around 300,000 to more than 2 million, with drug convictions accounting for the majority of the increase...The United States imprisons a larger percentage of its Black population than South Africa did at the height of apartheid. In Washington, D.C., our nation's capitol, it is estimated that three out of four young Black men (and nearly all those in the poorest neighborhoods) can expect to serve time in prison. 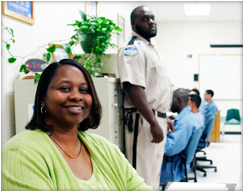 Similar rates of incarceration can be found in Black communities across America. These startling racial disparities cannot be explained by rates of drug crime. Studies show that people of all colors use and sell illegal drugs at remarkably similar rates. If there are significant differences in the surveys to be found, they frequently suggest that Whites, particularly White youth, are more likely to engage in drug crime than people of color. That is not what one would guess, however, when entering our nation's prisons and jails, which are overflowing with Black and Brown drug offenders. In some states, Black men have been admitted to prison on drug charges at rates twenty to fifty times greater than those of White men. Alexander. The New Jim Crow. The New Press, 2010. pp 6-7. Moreover, as Alexander goes on to note, Black men who have been convicted of crimes are the least likely group of any demographic to receive a job offer. Id. at 148. There was an experiment conducted recently that you might have heard of where White men with prison records received far more offers for entry-level jobs than Black men with identical records, and were offered jobs just as often - if not more so - than Black men who had never been arrested. When you consider that over 846,000 Black men are currently in jail, and 1.4 Million Black men have been released from prison, Black incarceration is undeniably a significant reason why the Black unemployment rate is 16%. Going back to our base line figure above of the 18 Million Black people in the labor work force, a whopping 21% of them (approx. 3.8 Million) work in government jobs at the federal, state or local level. Now I shouldn't even have to tell you why this is a major contributing factor to today's Black unemployment rate. For anyone who's even been halfway paying attention to the political news over the past year, you already know that government jobs have been under attack by the Republican Party since they assumed power in many offices during the 2010 midterm elections. According to the Labor Department, over 375,000 government jobs have been eliminated since 2008. Many of the state governments received funding from President Obama's 2009 Stimulus plan, however the Stimulus was only designed to be a temporary fix to keep the country from going into a depression. Now that most of that money is gone, we've seen many states (especially those headed by Republican governors) take drastic steps to reduce the number of state workers. Since Blacks make up a large number of these state government employees, these reductions have had a disparate impact on Black unemployment. In fiscal year 2010, the Equal Employment Opportunity Commission (EEOC) received 35,890 charges of race discrimination. Although this number does not include the number of people who were denied a job on the basis of race, it is admittedly a small drop in the bucket when compared to the 2.9 Million Black people who are currently unemployed in the U.S. Now let's keep it real, for every claim of racial employment discrimination filed with the EEOC, we all know damn well that there are undoubtedly several claims that go unreported; the true number could easily be in the 100's of thousands. Indeed, you'd be hard pressed to find any Black person in America who hasn't experienced some form of discrimination on the job in one form or another, whether it's being passed over for a promotion or being paid less than White co-workers in the same position. Now, let's be clear about one thing, it is Congress -- and not the President -- that most directly affects unemployment. Sure, a President can jump up and down and go on TV and shout "pass this bill!" but at the end of the day whether the bill becomes law is not up to the President. It's up to Congress. If you still believe that a President has the power to unilaterally control the unemployment rate, I'm sure that I can have my mom dig up one of my old junior high school civics books in her garage that can explain to you how our system of government actually works. [just think about it, what President would purposely choose to keep the unemployment rate at anything higher than 5%?] Congress, just like any branch of government (including the President), is prohibited by the Constitution from passing any law specifically aimed at helping Black people only. In other words, they can't pass the Black People ONLY Act of 2011. That would be unconstitutional. So any law or action taken by Congress to reduce Black unemployment is, of course, going to reduce unemployment for everybody at the same time. 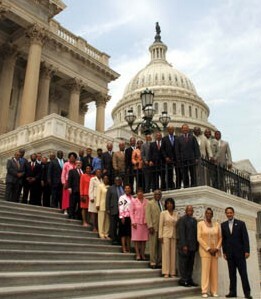 Of course, that doesn't mean that Congress shouldn't do everything in its power to reduce Black unemployment. They could, for example, (1) increase funding to inner-city schools and pass a federal law making college more affordable for low income families, (2) pass a federal law completely taking low-level drug offenses off the books or pass a federal law that gives massive tax breaks to any business that hires an ex-con who has jumped through the necessary hoops, (3) stop laying off federal employees and continue to provide funding to the state governments so that they can do the same, and (4) increase penalties against large corporations for racial employment discrimination. However, as we have all seen, Congress has fully embraced every bit of their 12% approval rating as a body of government that is completely incapable of coming together to even tie their own shoe unless it personally benefits themselves financially. This unfortunately all but assures that Congress is unable to do any of the things just mentioned above that could actually have an impact on lowering the Black unemployment rate. Unemployment is a complicated subject in and of itself, and Black unemployment in particular is no exception to that rule. Some of the major factors contributing to Black unemployment like Education and, to some extent (albeit an extremely limited extent in most inner cities) incarceration in the criminal justice system are but a few examples of things that the Black community has the ability to control for ourselves. Other things, such as employment discrimination and Congress, are things that we obviously have no control over (although one could definitely argue that through enough public protests, the Black community could force Congress' hand to pass laws in our favor). Therefore, it is important that as we march forward in the fight against the Black unemployment rate that we have the serenity to accept the things we cannot change, the courage to change the things we can, and wisdom to know the difference. 1. What, in your opinion, are the reasons why the Black unemployment rate is double that of White unemployment? 2. Who, if anybody, is to blame? 3. What can we do to fix it?